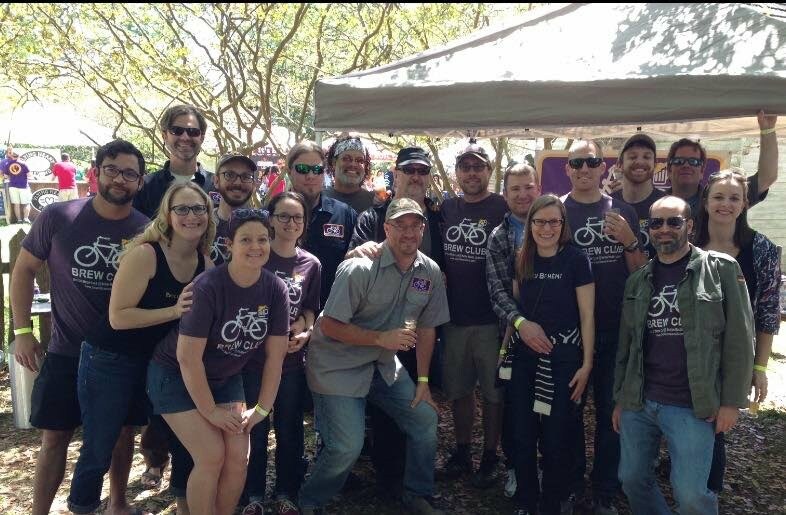 The Bicycle Brew Club of Baton Rouge, Louisiana formed in January 2012. We organized to provide a venue for Mid-City home brewers to talk about brewing, technique, styles, and beer in general. If you've been brewing for a while, haven't brewed before but want to learn more, are already a member of another club, or just want to chat about beer, no worries, all are welcome. We meet regularly and appreciate everyone's take on our favorite subject, beer (and of course LSU, the Saints, bikes, food, fiscal policy, Keynesian economics, astrobiology, Napoleonic code, Cartesian planes, archival science, or pretty much whatever. Beer makes everything a little more interesting). The Bicycle Brew Club is also a supporter of safe consumption, hence the bicycle. We want everyone to take care in traveling to and from our meetings, which is why we meet in Mid-City, so most of our local members can ride or walk. If you are interested in joining us and are mobile enough, we encourage you to travel by means other than a car.